Join Stitchin' Heaven and Friends on an 11-night Hawaii Cruise! 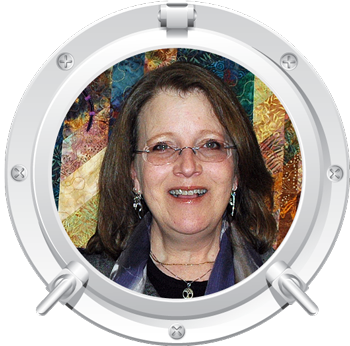 Cruise and learn from two quilting experts: Chris Hoover and Cat Nix! "I was sorry to see this cruise end. Such beautiful scenery,great sewing classes, good friends. And I did not have to cook, clean or go grocery shopping. Is this heaven or what?" "Such a great trip. Everything is planned out so well. Just a very easy, fun, exciting trip." "Great trip - lots of fun - looking forward to planning another one!" See more reviews from our happy travelers here. “My designs may look complicated but they are easily broken down into simple elements. I encourage quilters to see beyond the color and fabric in a quilt and to imagine the possibilities of the design – how to make it suit their individual style.” Chris designs under the name Whirligig Designs and you can see more at here: www.whirligigdesigns.com. “I have the best job in the world,” Cat says of her work with Anthology Fabrics. A self proclaimed "fabri-holic", she proudly states, “I work with the best people and best fabric in the industry!” As Creative Director, Cat works with pattern designers, publishers, educators, business owners and shop owners to promote the "Artistry of Batiks" and use of Anthology Fabrics Batiks. She also serves as in-house pattern and project designer, working with Anthology Fabrics artisans in Indonesia to develop new fabric designs that can be used in all facets of quilting and sewing. Cat resides with her family in Kansas City, Missouri. She alwaysenjoys hangin' out with her son, stitch-time with her sister, nieces & nephew, and spoiling her pets. 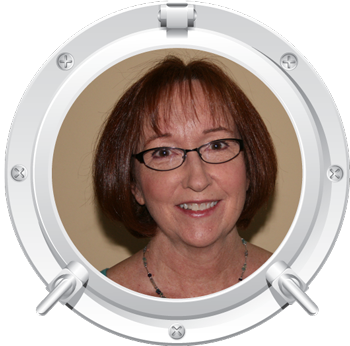 Cat teaches and lectures locally and beyond the metropolitan Kansas City area. The first time Deb saw Hanalei Bay she knew it needed to be a featured project on a cruise to Hawaii. The beautiful design is reminiscent of the flora of the Hawaiian islands. Chris Hoover is an amazing designer and a wonderful teacher. She will teach you the basics of foundation paper piecing and will guide you through every phase of making this beautiful quilt. With this two-day clas you certainly might just be able to finish this one before we dock at our first port. Several years ago, Cat asked her son what kind of quilt he wanted her to make for him. His only response: “No frills this time, mom.” Thus, Inside Out was born. 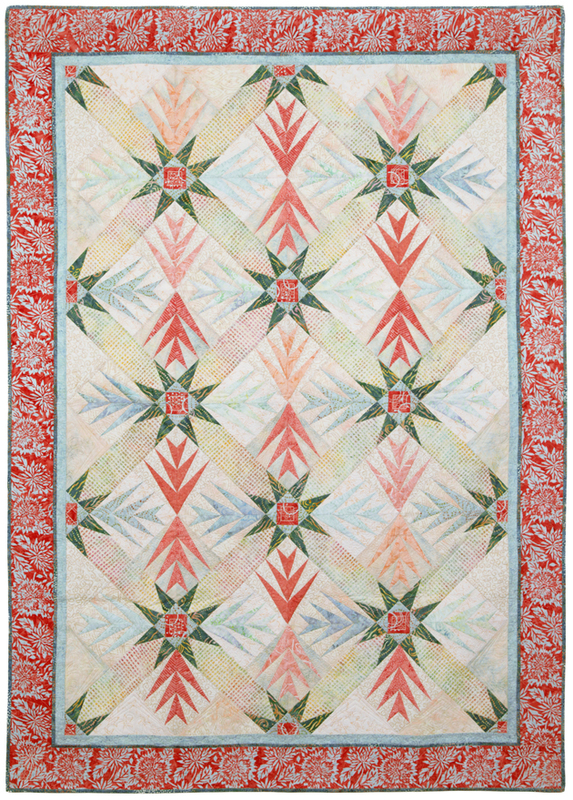 Bold in color, rich in luster, and glowing with luminosity, this quilt will wrap you up in style. 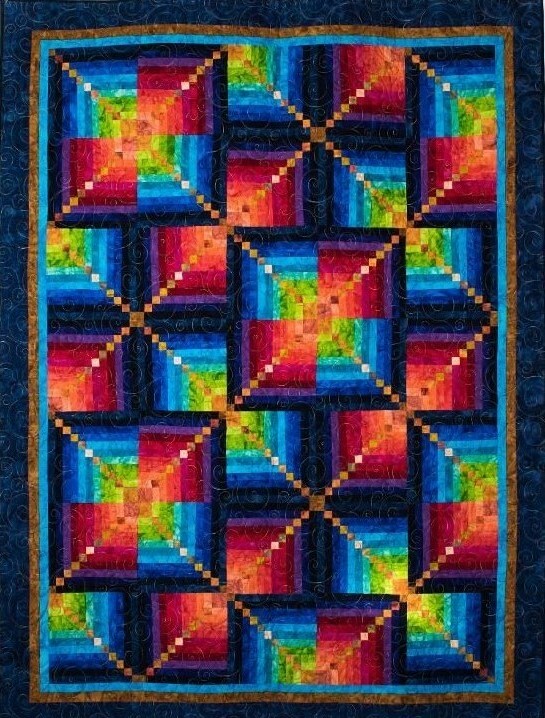 This quilt was featured in the second edition of “Color Play” by Joen Wolfrom. During this two-day class with Cat you will have the pleasure of experiencing a really great teaching style. Cat is known for her patient attitude and putting her students at ease. The quilt patterns she produces are of the highest quality. Our incredible Sail 'n Sew fabric pack includes all of the fabrics and patterns for your projects and they are pre-cut so all you need to do is sit down and sew! 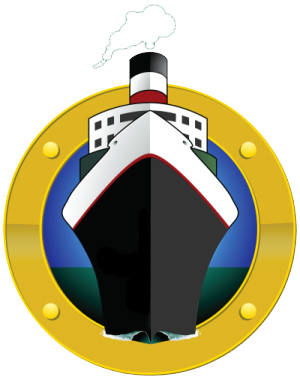 The price of the Sail ‘n Sew fabric pack is $300.00 and it includes both projects for this cruise. If you would like to buy individual kits, please call for pricing. If you would like a Sail ‘n Sew pack, just let us know when you make your Reservation and we'll have a kit waiting for you on the ship. Order early as supplies are limited. If you do not wish to purchase a Sail 'n Sew Fabric Pack, remember to pack your own fabrics. We will not have fabrics available for purchase aboard the ship. You will need to bring your fabric pre-cut and ready for class. You must also bring your pattern or book. These can be purchased here. We will not have patterns for purchase on board for the classes. Fabric requirements and cutting instructions coming soon. Port charges, taxes & fees of $408.99 are not included.